Quadrupole Mass Spectrometers are one of the most widely used methods of Residual Gas Analysis used in vacuum technology. There is a very good description of how RGAs work and their anatomies the book, Understanding Modern Vacuum Technology. This animation is helpful to round out one’s understanding of how the gases are ionized and passed through the analyzer. Other ions have unstable trajectories and will collide with the rods. This permits selection of an ion with a particular M/z or allows the operator to scan for a range of M/z-values by continuously varying the applied voltage. The Pfeiffer Quadrupole Mass Spectrometer video shows the two common ion detection schemes used, the Faraday cup and the electron multiplier. The Faraday cup is more robust and can operate at higher pressures while the electron multiplier is used for more UHV work as they amplify the ion signal in the device. 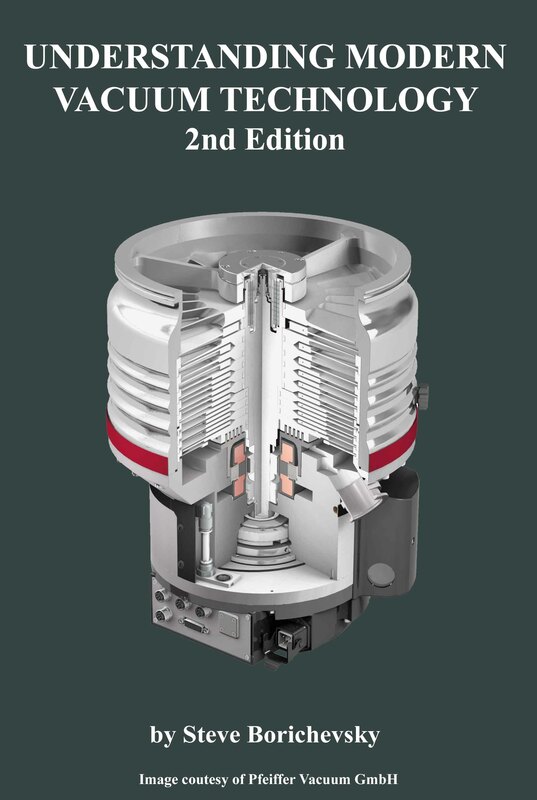 Understanding Modern Vacuum Technology, 2nd Ed discusses pressure measurement in detail and covers the history of partial pressure measurement and alternative methods used for residual gas analysis. Torricelli used to hang with Galileo? This entire site is Copyrighted 2017, 2018. All Rights Reserved. No unauthorized copying of any section or photograph of this site or from affiliated web photo albums is permitted. If you wish to use any part of this site, contact me. For information on Copyright Law, see the official U.S. Copyright Office web site.